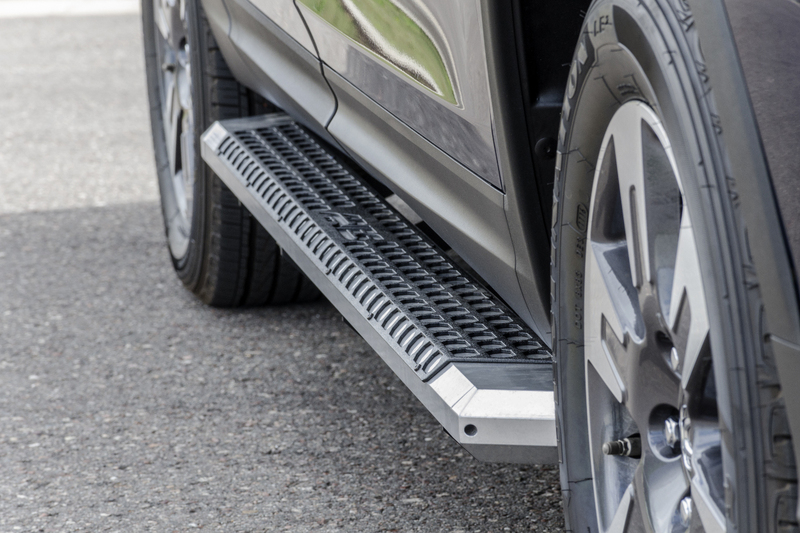 There are a lot of running board options out there, but how many of them truly allow your truck to stand out from the pack? 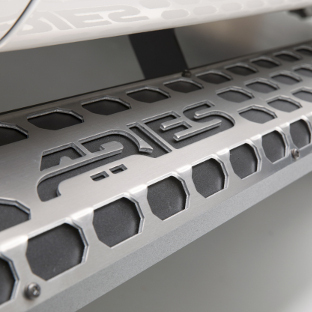 ARIES AdvantEDGE™ side bars do away with the common, rounded look of other truck running boards, featuring a unique profile, an angular design and an all-aluminum construction. They're also available in two finish options. 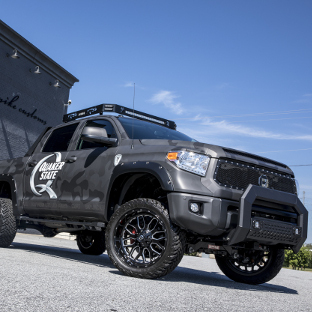 AdvantEDGE™ truck steps give you that aggressive, aftermarket look with the durability to back it up. They also utilize our VersaTrac® mounting system with vehicle-specific brackets for a fast, secure, no-drill installation. 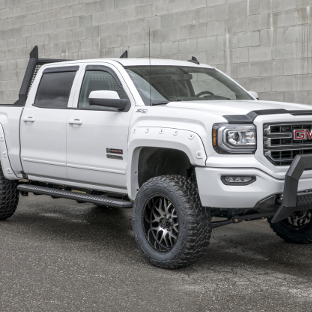 AdvantEDGE™ side bars are part of a larger series of unique truck accessories, including the AdvantEDGE™ bull bar and AdvantEDGE™ headache rack, giving you a complete, customized look for your truck. 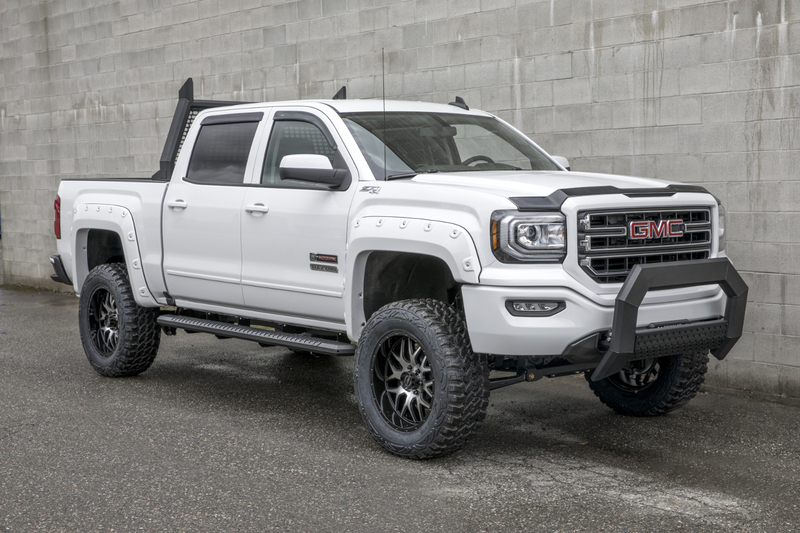 All AdvantEDGE™ side bars install with the VersaTrac® system -- a vehicle-specific, no-drill mounting system that allows for various running board options, using the same set of brackets. The distinguishing mark of AdvantEDGE™ side bars is their unique, all-angles design. Instead of the common, rounded look, they are made with 5-1/2" wide, eight-sided tubing. 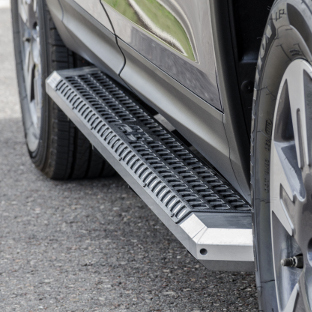 The angular edges of these octagonal running boards provide a clear-cut accent that better complements the style of today's trucks and provides a solid stepping surface into your vehicle. The boards are also complete with bolted angular end caps for a bold finish. 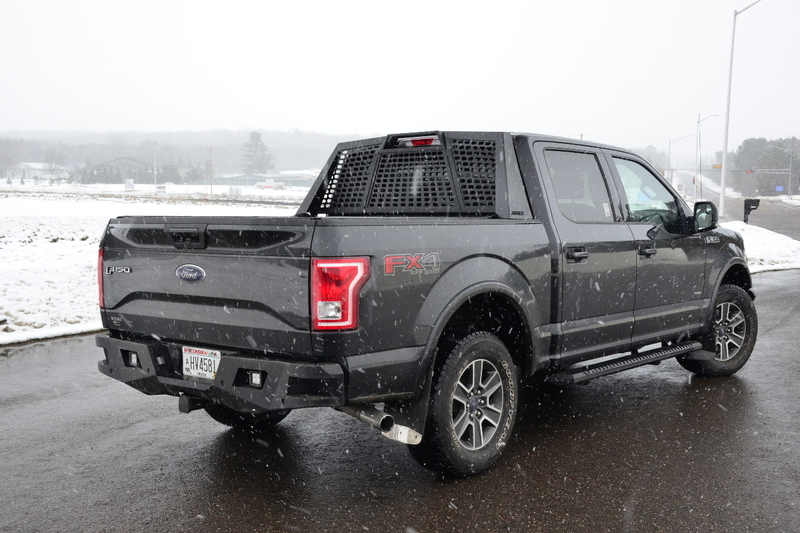 The unique design of AdvantEDGE™ side bars is further distinguished by an all-aluminum construction. 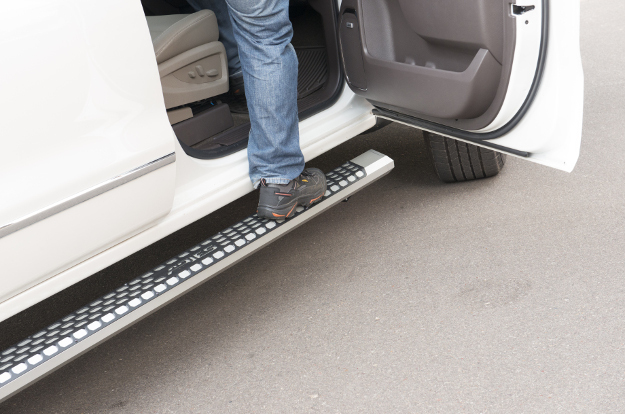 Each running board is built from extruded aluminum alloy. This makes them strong, lightweight and highly impervious to the elements. The octagonal extrusion supplies the running boards with dependable strength without encumbering your truck with excessive weight. AdvantEDGE™ side bars are also finished with a durable powder coat for maximum resistance to rain, mud, snow, road salt and UV damage. 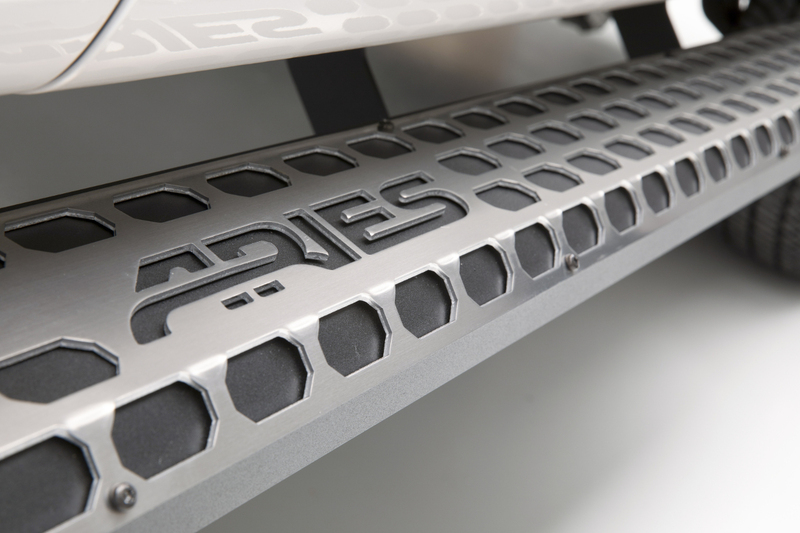 All-aluminum means all-aluminum, and as such, AdvantEDGE™ side bar truck steps are equipped with stamped aluminum treads. 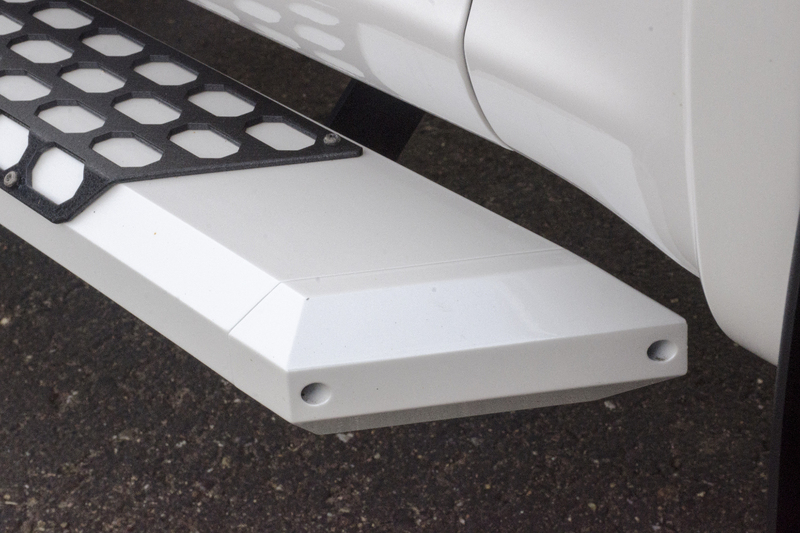 The aluminum step pads are highly resistant to wear, even with heavy foot traffic, and they remain rust-free. The step pads are finished with a durable textured black powder coat for addition corrosion resistance and added traction. They mount with black chromite-coated hardware, and they are also available in a paintable raw finish option for more customization. 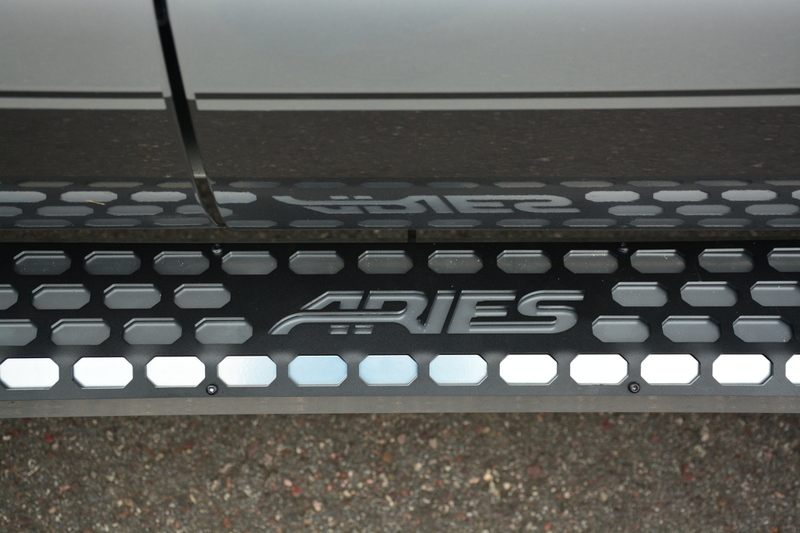 Setting yourself apart is simple with ARIES AdvantEDGE™ side bars. All board lengths are available in two finish options, including carbide black or chrome powder coat. 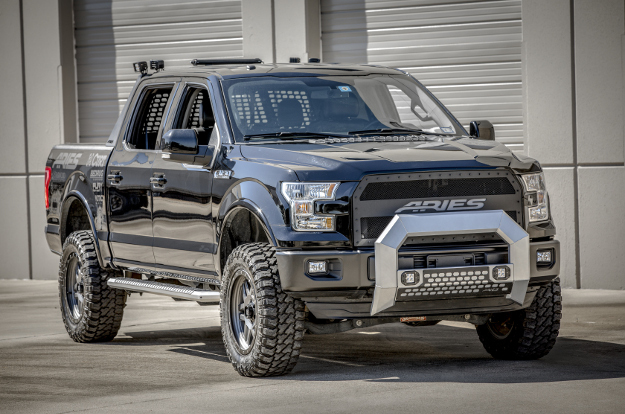 This allows you to complement the look of your truck and customize it however you want. Both finishes are a highly durable powder coat, providing maximum corrosion protection for the running boards. You get a custom look with the reliability to back it up. 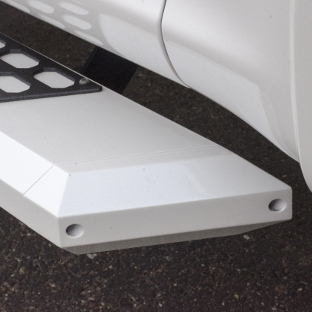 AdvantEDGE™ side bars are also marked for their easy, no-drill, custom-fit installation. They use our patented VersaTrac® system. 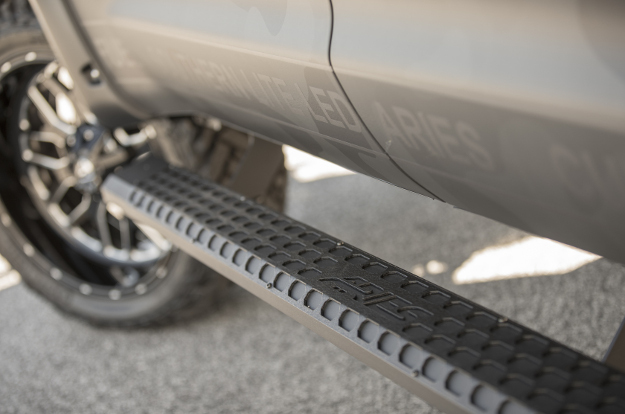 With a set of vehicle-specific brackets for each unique truck, the AdvantEDGE™ boards are able to mount with no drilling or difficult modifications required. 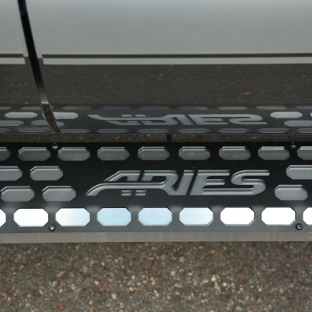 The brackets also accommodate other running boards equipped with the VersaTrac® system. 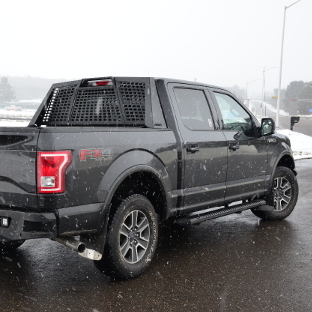 This allows you to customize your truck with different steps, based on your preferences or even the changing seasons. 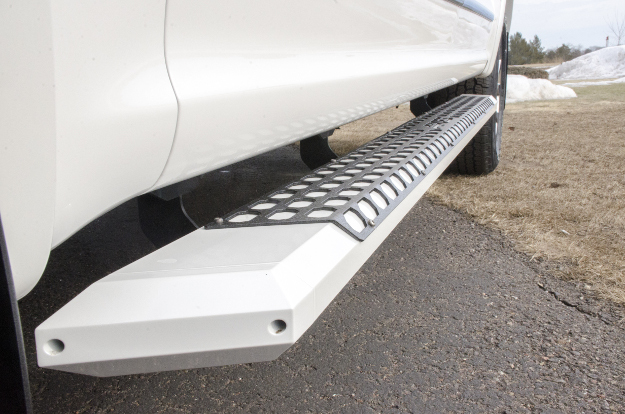 These unique truck steps are part of a complete series of products that allows you to fully revamp the look of your pickup truck. 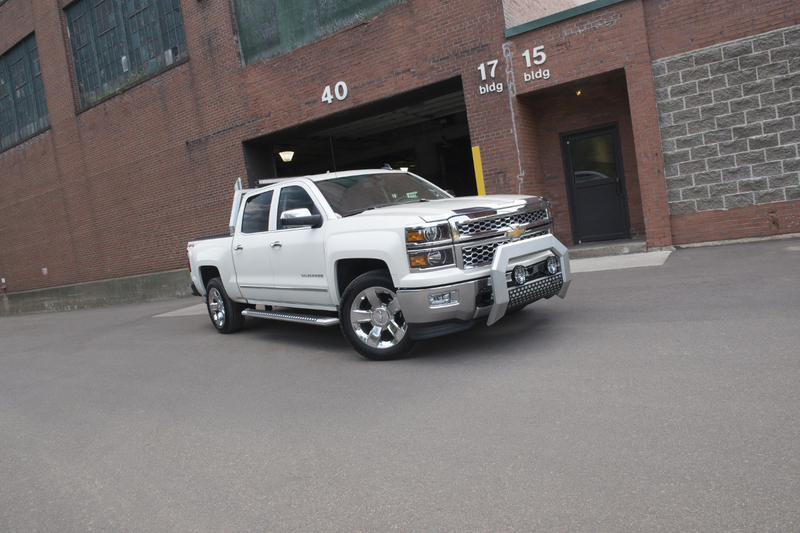 The AdvantEDGE™ series includes the AdvantEDGE™ bull bar and AdvantEDGE™ headache rack. 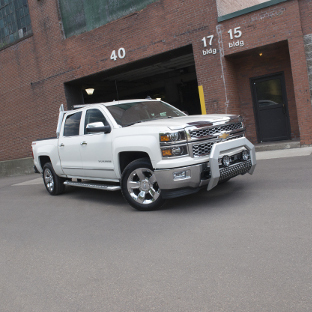 AdvantEDGE™ truck accessories all feature the unique pairing of an angular design and all-aluminum construction. 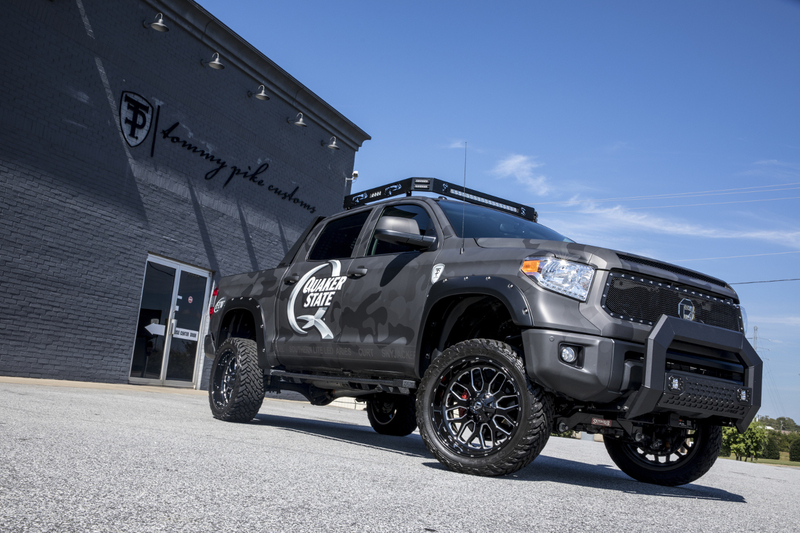 The running boards and other accessories are also available in both the carbide black and chrome powder coat finish options.